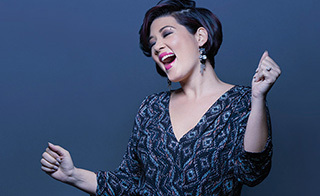 Known for her powerful musical chops, ever-changing hairstyle and effervescent personality, Tessanne Chin's life may be a whirlwind since winning The Voice, but she's hitting all high notes. Ultra-modern in design, with clean lines, sharp edges and ample use of glass, Vela was conceived to bring contemporary, luxury living and a level of amenities usually associated with Seven Mile Beach to the quiet shores of South Sound, but at much more competitive prices. In late 2014, the new and improved Cayman Islands Yacht Club was officially launched with a waterfront restaurant, convenience store and amenity-rich docking facilities. 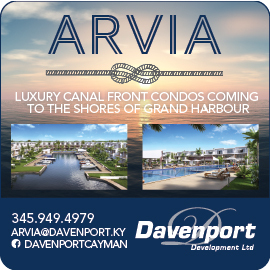 Neighbours are enjoying access to a world-class marina while new residential lot sales offer a few fortunate buyers the opportunity to become part of one of Cayman's longest standing waterfront communities. A palatial Turks & Caicos home grounded in purpose. The clean lines and cool white tones of Luxury Cayman Villas' newest rental property, Tranquility Cove, create a serene oasis where guests can disconnect from the fast pace of modern life and reconnect with friends and family in an idyllic oceanfront location. 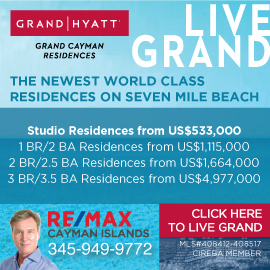 A day at The WaterColours, Grand Cayman's most luxurious residential development. Delicately refined and as beautifully constructed as their jewellery collections, Cartier perfumes are daringly elegant, thoroughly modern, and taking the world of haute parfum by storm. Secret Bay has graced magazine covers and won a dizzying array of awards since opening in 2011, but building a luxury eco-resort was never part of the original plan. Inspiring and exceptional though the resort is, it really came about by accident. Strikingly atmospheric and suffused with light, Melanie McCollin-Walker's landscapes and seascapes inhabit a realm suspended somewhere between fantasy and reality. In a region where the bar for luxury keeps on rising, staying ahead of the competition can be a tall order. Each of these unique resorts, however, is guaranteed pick you up and transport you to a fresh and exciting new world. Perfect for high traffic zones, Davos Tiles are hard-wearing porcelain tiles that combine sleek design with neutral finishes. Inspired by nature’s subtle shades and textures, the contemporary tiles are a practical choice for style conscious consumers. An award-winning furniture designer, whose bespoke work embraces the environment and reflects a wide range of styles from contemporary to traditional, John Bird of Marlet Design is a master maker. An avid yachtsman, Michael Farrington hails from South Africa but made Grand Cayman his home in 1996 then he founded Compass Marine in 2007. Sailing since he was five years old, the qualified Shipwright and Ovington Marine schooled boat builder is also the Commodore of the Cayman Islands Sailing Club. Make the most of Cayman's fresh-off-the-hook seafood and locally-grown ingredients with recipes from six of the island's most beloved restaurants. Featuring light and zesty mussels, tangy beets, succulent sea bass and more, these meals are designed to tantalise tastebuds. Whatever your budget, we've got you covered. Essential to achieving a finished look and defining the style of any room, today's window treatments are becoming design statements in their own right. Modern design possibilities are transforming swimming pools into visually stunning and endlessly versatile spaces that lend a whole new dimension to outdoor living. Outdoor kitchens were practically made for island life. Here, a look at cooking, entertaining and relaxing under the Caribbean sun. Pour colour into the mix with a vibrant jewel tone pitcher and glassware from Two Tone Studios. Made without the use of moulds, these retro-modern containers are a fun way to elevate the every day.